Visit a local ice cream stand for a delicious homemade ice cream! For the extra adventurous, here is the NH Granite State Dairy Promotion Ice Cream trail map for 2015! Pick fresh fruit at a local NH MADE member farm stand! Did you know that the NH Department of Agriculture published an informative peak of harvest guide so you will know what to look for? View it here. Stop by the Stratham Fair at Stratham Hill Park on Route 33 in Stratham on Sunday, July 19th for NH MADE Day and shop at our members booths! Use local sunscreen and bug repellent products this summer! Visit our two NH Stores on I-95 in Hampton-filled to the brim with great member products! Hosting a bbq this summer? Try using all local meats and bbq sauces! Fill your cooler for the beach with locally made soda. Experience one of the wine and cheese or chocolate tours! 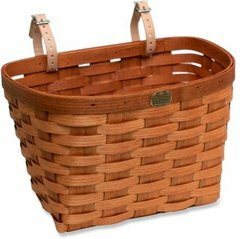 Seek out our NH MADE Retailers for your gift giving needs this summer. Shop with ease our e-store from the comfort of your pool deck! And a bonus bucket list item is to pick up the new 2015-2016 Guide to NH Products and Services at a state welcome center near you for some wonderful places to visit statewide!